ATTENTION: ALL Students (ages 16-23) interested in a SUMMER JOB OR INTERNSHIP! 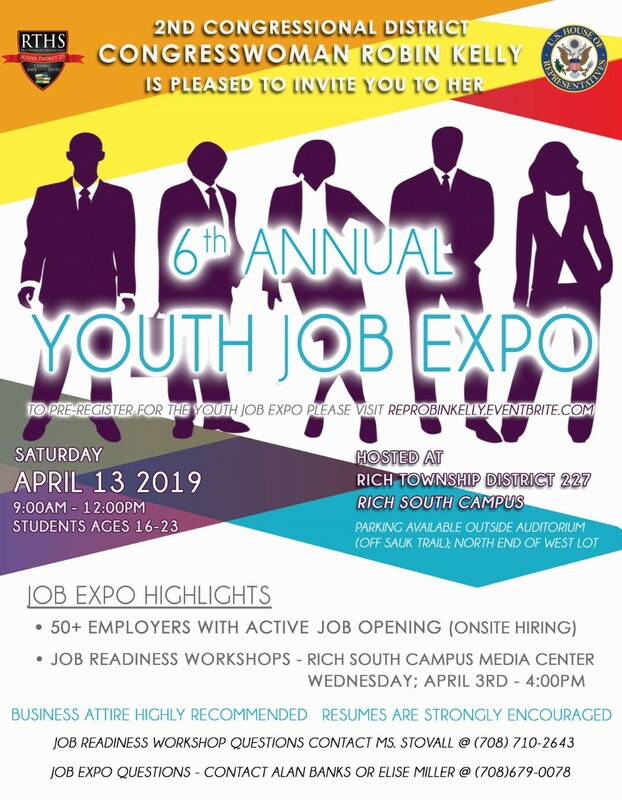 Our Youth Job Expo will take place on Saturday; April 13th at the Rich South campus from 9:00am - 12:00pm. Over 50 employers with openings will be on site. To attend, please register at REPROBINKELLY.EVENTBRITE.COM and view the attached flyer for details.